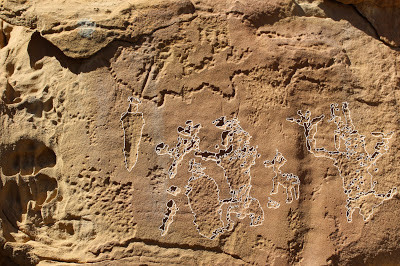 The Fremont Ridge Site is stop number 14 on the Rangely Rock Art Tour near Rangely, Colorado. 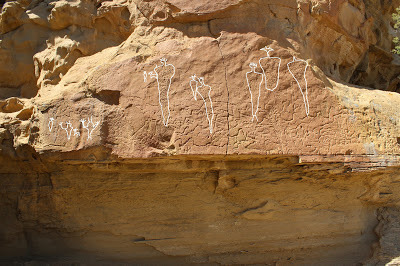 The Fremont Ridge Site has unique panels of petroglyphs of Barrier Canyon Style 'Carrot Men' that were done in a Fremont manner. Barrier Canyon Style rock art is normally painted or pictographic in nature whereas the 'Carrot Men' at this site were pecked like petroglyphs. 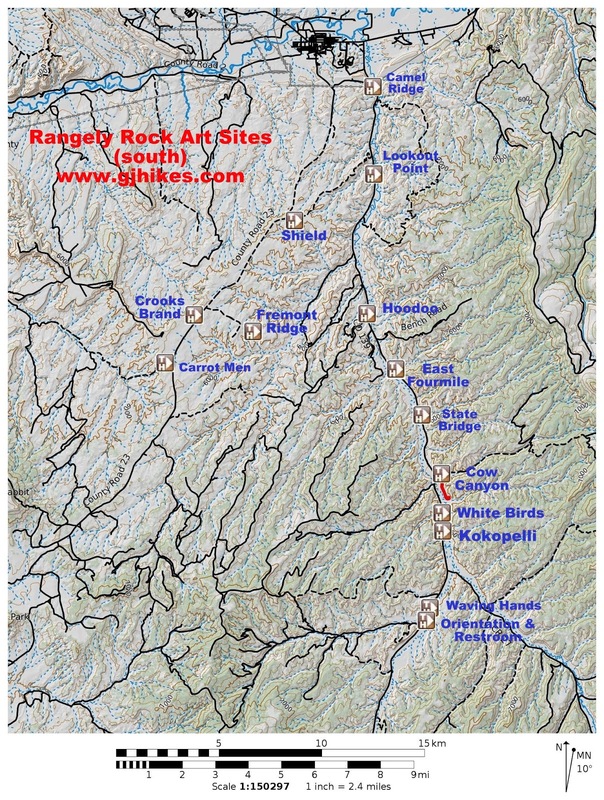 The Fremont Ridge Site is probably the most difficult of all the sites on the Rangely Rock Art Tour to get to. The turnoff is at milepost 9.7 of the Dragon Road. 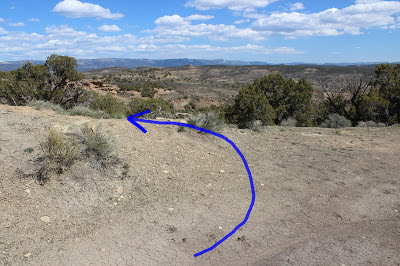 Turn east on BLM Road 1045B and follow it for about 1.3 miles where you take a left fork for another 0.6 miles to the trailhead on the crest of the ridge. The last part of the road that leads up to the ridge might be too rough for a passenger car requiring you to park at the bottom of the hill and extend the length of the hike. The trailhead is well marked but there really isn't much room to turn around. The dead end road serves as the parking area. 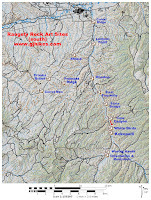 Just past the sign for the trailhead watch for a cairn marked trail that departs the road on the north or east side. The trail climbs the small ridge and continues along the right, or east, side to the petroglyphs a couple hundred yards away. All of the petroglyphs are contained in one area of the cliff where the flat surface apparently suited the intended purpose. The petroglyphs at the Fremont Ridge Site are quite remarkable in that some of the elements resemble Barrier Canyon Style 'Carrot men' that are normally pictographs. The panel has a densely packed number of anthropomorphs, zoomorphs and geometric elements. Outlining a few of the carrot men makes them standout from the rest of the panel. Going with the idea that whomever made these images, whether a shaman, medicine man or whatever, was also a skilled artisan it seemed reasonable to assume that each and every peck made in the rock was done very deliberately and precisely. The idea occurred to try to emphasize each mark by outlining them individually. That proved to be very tedious and time consuming after working at it for awhile but the outcome seems to have partially achieved the intended effect. Two of these figures when scrutinized closely seem to take on a South American look. 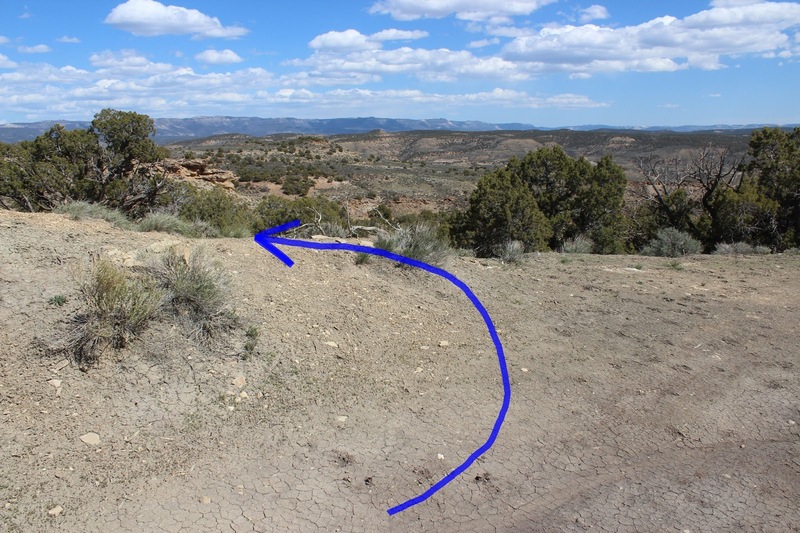 The Fremont Ridge Site is the most difficult site to visit on the Rangely Rock Art Tour when you take into consideration the access road. A vehicle with a little bit of clearance would make getting all the way to the trailhead much easier. If you have to walk the last quarter mile of the road it should still be worth the added effort. If you would like to see it for yourself then all you have to do is 'Take a hike'.